Teddy caught his breathe for what felt like the hundredth time with her that night. He couldn’t believe the way her eyes lit up against the pale moonlight. How could someone’s eyes be so dark and so light at the same time? Dark brown, but glimmering lightly with colors of honey. Her eyes held it all. They held everything he knew and what was left to know about her. How she was both brooding, mysterious, and yet so full of light and life. Sitting together on that lifeguard stand that night, he knew it again; the way he knew it the first time he looked into her eyes, she was his forever. He’d heard all the ways people fall in love before, all of it sounded remotely silly even, but then she happened. This wild, honey eyed, gypsy soul. Just when he thought he had her figured out, she’d reveal another layer of herself. He swore her soul was encompassed by a pool of endless emotional depths. He’d spend his entire lifetime diving into her and now he was ready to tell her. She turned over his way flashing that gorgeous smile of hers, his heart began pounding, how could someone be this beautiful he thought to himself. Slowly and still taking her in, he began slipping back into the reality of the moment. The sound of the ocean waves lapping on the shore, the hush of the night sky, the gentle rise and fall of her breathing. No moment could have been more perfect. 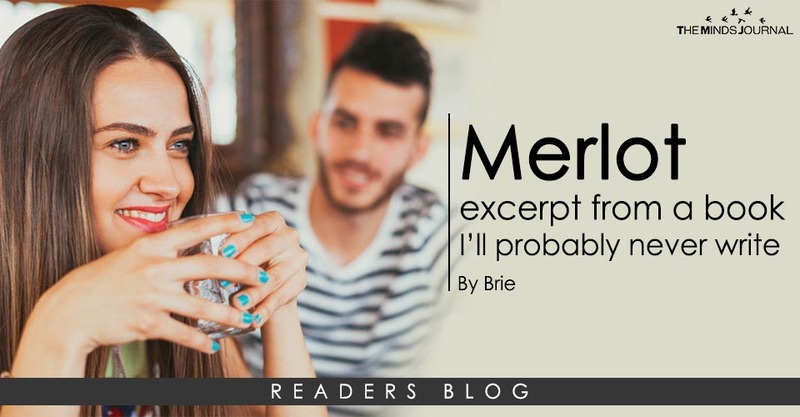 Merlot was never one for patience. Having an acute intuition for what people were feeling didn’t exactly help in the patience department. She could always tell how people were feeling before they sometimes knew it themselves. So when Teddy began looking at her like that, she knew. She knew just like she knew the first moment she laid eyes on him, she was his forever. For someone who touts pride in her intuition she had to admit Teddy knew it before she quite knew it herself. She knew Teddy saw it the moment he looked into her eyes, but whether she was ready to accept what he was seeing, or not, was how their journey led them here. Right here to this moment on the lifeguard stand.